Perfect on my wall by my (non-magnetic) refrigerator! 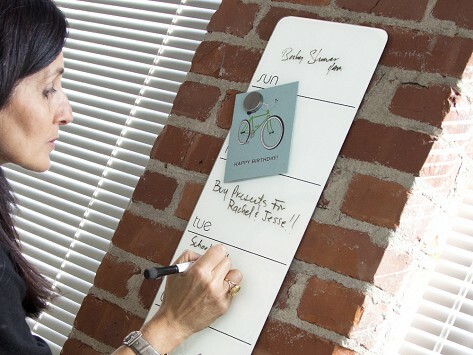 We keep the smaller weekday one on the refrigerator for meal planning, with a magnetic dry erase marker alongside! Works great. Use it every day to get a quick look at current week mtgs. and important To Do's.